Police dogs are rare breeds—highly trained, fiercely loyal and exceptionally brave carrying out the orders of their human trainers/partners. Their keen sense of smell and other unique qualities help keep us all safer. Texas Air Authorities is a rare breed, too. We have the training, experience and IAQ smarts to sniff out any potential problems involving indoor air quality at commercial establishments. According to the U.S. Environmental Protection Agency, IAQ is one of the five most urgent environmental threats to public health. Indoor air can be two to five times and as much as 100 times more polluted than outdoor air, according to the EPA. In the business world, poor IAQ can adversely affect health, comfort and productivity, according to the Occupational Health and Safety Administration. When you consider that most people spend as much as 90 percent of their time indoors and that office workers spend about 40 hours inside office buildings, the importance of rounding up the bad guys and locking them up for good becomes even more critical. Whether you’re the owner of a large commercial property, medium-sized office or corner store, Texas Air Authorities has got your back. We have decades of experience working with businesses and we know how to speak your language. We know that a solid IAQ plan helps businesses succeed because it helps keep workers and customers comfortable and healthy. Our IAQ technicians have been doing this work for decades and have the training, experience and IAQ smarts to search every nook and cranny, collecting the evidence needed to develop the IAQ plan that’s right for your business and your budget. 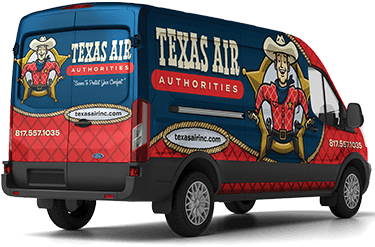 Businesses in the Arlington area turn to Texas Air Authorities for all of their IAQ needs, including air filtration, air purification, air ventilation, humidifiers & dehumidifiers, zone controls, smart thermostats and more. Simply fill out our online form or call us at 817-402-3576. I recently contacted Texas Air Authorities to have a heat pump in my home replaced. I had previously contacted A#1 Air for a quote, and just trying to get a quote to repair or replace was like pulling teeth. So I decided if I am having this much trouble trying to receive a quote, I can only imagine what it might be like getting an install. So I stumbled across TEXAS AIR AUTHORITIES online, read the reviews, and decided to give them a chance. It was the best decision I could have made. Texas Air stop by the house, emailed me a quote, and was out that weekend doing the work. They were very courteous, knowledgeable and I had the utmost confidence in the entire team. They took the time to explain to me the new thermostat, where to place the filter, and how to keep the drain pipe clear of debris as well. The clean up was top notch. In addition, I had a few additional things that needed repairs, and they took the liberty of completing them for me as well. During the clean up process, I offered to help one of the younger gentlemen, and he quickly let me know that he didn't mind the clean up, it was his job and it was what he was getting paid to do. A very respectful group of individuals. I will use them moving forward from now on. I am so glad that the experience with A#1 Air was less than expected, otherwise I would not have found Texas Air. In addition, their price was very fair, and more than reasonable in comparison to other people that I have spoken with for the same type of service. David identified the problem and then went the extra mile to make sure everything was repaired correctly. Very professional and easy to work with.